A well-known luxury lifestyle and travel magazine known as ‘Condé Nast Traveler ’ talks about the astounding beauty of the pearl of the Indian Ocean – Sri Lanka. Throughout their discussion, one optimistic factor remains: the charm of Lankan folk. With Australia ranking as number one, Condé Nast Traveler bestowed privileges to the precious island of Sri Lanka as being the second best place to visit in 2016. 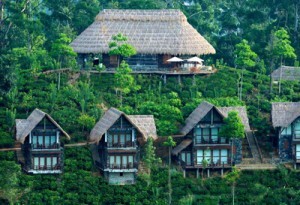 This is a huge boost to refresh the tourism industry in Sri Lanka. Condé Nast Traveler magazine is more than just a travel magazine and focuses on hard news reporting as well as literary journalism. Founded in 1987, the magazine has won 25 National Magazine Awards. Pursuing the motto “Truth in Travel”, chief editor Evans clearly states that no travel industry freebies will be accepted. In this particular article, writer Katherine says tourism in Sri Lanka is often defeated by neighboring countries such as Maldives and India. Yet, the tropical country remains a relatively unexplored, affordable and not very populated place to visit. Katherine goes on to say that the timeless ruins located island-wide and the endless stretches of beautiful waters are sufficient to summon travelers. While the seaside capital city of Colombo is currently undergoing a cosmopolitan upgrade, developments in the Southwestern shores of Galle are also ongoing – having recently launched a well-designed luxury hotel. Writer Sebastian also covered holidays in Sri Lanka as a part of the Condé Nast Traveler Magazine a couple of years ago. In it he spoke about authentic Lankan folk. Sri Lankan men are almost always dressed to stand out. They have a sense of potential that remains unrealized. For example, if you stop at a remote rural area, a man whose job is to simply keep the pathway clear of leaves will be dressed as a politics professor at Yale! Another writer commented on Lankan fold being very polite, un-invasive and unruffled. Walking along the streets will attract three-wheel drivers passing by who will stop to ask if you need a ride. But if you say no, they will politely drive away instead of hassling you and insisting you ride with them. 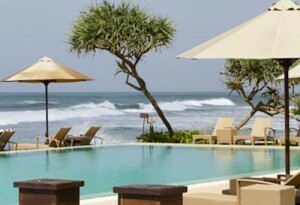 Beach holidays in Sri Lanka are one of the many things that the country can boast about. Lovely golden sand beaches with palm trees on the sides, patches of gardens, rice paddies, smallholdings, and mangosteen orchards all mixed together. 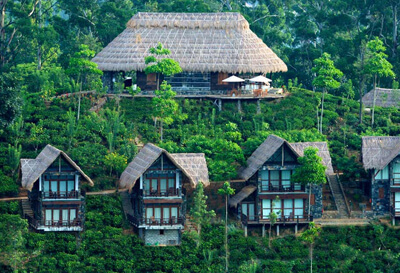 Due to the long term civil war and the great tsunami in 2004, Sri Lanka suffered a massive drop in tourism rates. Thankfully, when peace was declared in 2009, there was stable reconstruction of areas affected by the tsunami and the country began to flourish as a must-visit holiday destination. Very few places around the world can present travelers with a wide variety of greenery, climate changes, sandy beaches, hillside terrains, thriving rainforests and well-maintained wildlife. These are just some of the reasons why this precious island is known as the “Pearl of the Indian Ocean”. The North of the country is just recently developing after the war and has only a few options for tourist accommodation but will soon flourish with plenty to offer. Apart from that, there are other areas that are perfectly safe to explore such as tea and temples in Kandy, Wildlife in Yala, white-water rafting in Kitulgala and of course surfing along the beaches of the eastern and southwestern coast. Blue Lanka Tours has a team of skilled travel consultants who can prepare an itinerary for your visit solely based on your likes and preferences. In providing transport and accommodation to all our customers, we focus on giving tourists a luxury holiday in Sri Lanka at extremely affordable rates. In addition to this naturally beautiful island that has a pursuit to suit everyone; Sri Lanka’s greatest wealth is the charm of its warm, gentle and friendly population. Visitors often take this one impression with them which is a great motivation to Lankan folk to preserve our unique perspective on life and be a united and dignified nation.